In my last blog I discussed the importance of giving meaning to tasks and how it can drastically increase an employee's motivation to perform. This week I'll cover the final two experiments of Ariely's research. These explore how feedback impacts our desire to work, and the impact of pride upon the valuation of our own efforts. The results showed that those who were in Group 1 (acknowledged) completed sheets down to a very small amount of money. Those in Group 3 (shredded) stopped much earlier, and those who were in Group 2 (ignored) stopped only slightly later than Group 3. Ariely concluded that getting recognition for your work no matter how slight, is an important motivator -and that when ignored completely it can have almost have as negative an effect as having your work shredded right before your eyes. Anyone who has wrestled with the infamous Swedish flat pack furniture knows that it is not always of the highest quality. However, the pride and satisfaction of ignoring decoding the instructions and constructing it yourself often means it ranks much higher in your estimations than other fixtures and fittings in your home. This is the Ikea Effect, and it is the base principal for this final experiment. Ariely again gathered a group of willing participants. This time, half the group was tasked with building origami sculptures. They were provided with paper, instructions and accompanying diagrams. Once they had finished their creations, the whole group was then told that they could purchase these paper sculptures from the research team and were each asked what they would pay. The results showed that the half of the group who built the figures valued their work much higher than those who were observing. The same experiment was conducted again but roles of the participants reversed, however this time the instructions were removed and those building could only use the diagrams as a guide. Consequently, the sculptures created were much worse than those before, and this was reflected in the valuations given by those observing. However, when asked to estimate the worth of their own work the builders placed a much higher price tag than in the previous test. In their eyes, the task had been much harder and their valuation echoed the extra effort. These final experiments again highlight the significance of meaning, but also how garnering recognition from a manager impacts our desire to work. If we feel appreciated then our desire to perform increases, a simple fact but one that is often overlooked in many workplaces. Furthermore, when a task requires a great deal of time and effort on our behalf then the product of those efforts is valued accordingly. It is human nature for us to take pride in our creations. 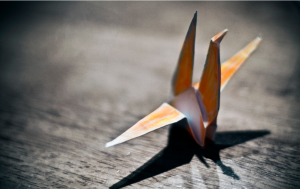 The more we sweat over a task the greater value it will hold in our minds regardless of the quality of that origami model or report. Employers should recognise the importance of acknowledging their staffs efforts and provide encouragement where it is due. Consider how you can incorporate these elements into your business. Build healthy relationships with your staff, provide them with a sense of pride and value and you'll soon increase both the productivity and happiness of your employees.